Weekday Winner! From 20 August 2018 to 20 September 2018. 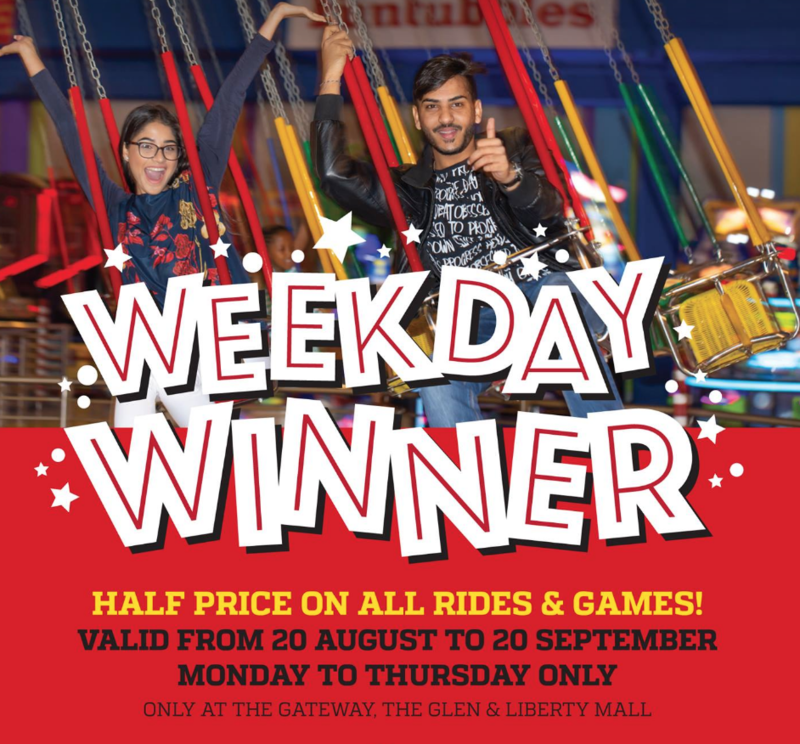 Half Price on all rides and games from Monday to Thursday at Gateway Theatre of Shopping VIP, The Glen Shopping Centre and Liberty Midlands Mall.